Introducing the fabulous Ardell Fashion Lashes Demi Wispies False Eyelashes. These faux lashes offer the perfect style for every eye and every occasion, and they're handcrafted for the best fit and utmost comfort. Ardell's Fashion Lashes False Eyelashes offer the perfect style for every eye and every occasion, plus they're handcrafted for the best fit and utmost comfort! 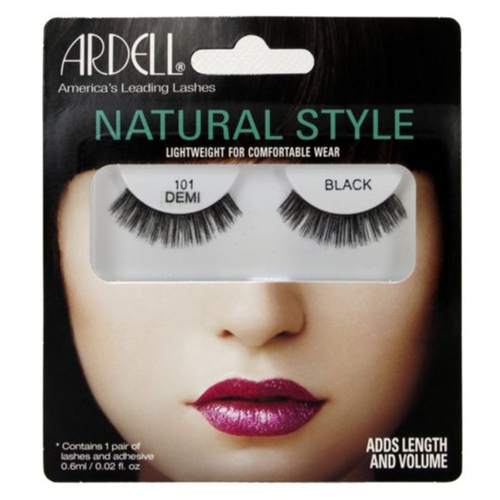 ARDELL Natural Style Lashes 117 Eyelashes offer the perfect style for every eye and every occasion, and they're handcrafted for the best fit and utmost comfort.